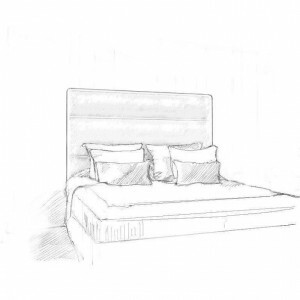 We are proud of the quality, style and advice that we offer at Headboards By Design Online and we want you to be entirely satisfied with your purchase. All our items are made to order and therefore we are not reliant upon external companies to manufacture and ship to us either here in the UK or from overseas. We aim to deliver to you within 3-4 weeks. If there is a delay with delivery we will be in touch within 1-2 weeks. For some remote parts of the country our leadtimes may be a little longer. If you are ready to order contact us for estimated delivery times. For all of our large items we deliver using 3 methods. Our own vehicle in zone 1. For Zone 2 we use a combination of our own team and external companies. For zone 3 we use a local freight company. For soft furnishings alone we use a shipping company. We are proud of the quality, style and advice that we offer at Headboards By Design Online Ltd and we do have stringent quality control but damage during transit is always a risk with furniture. We want you to be entirely satisfied with your purchase so in the rare event that you wish to return your item/items due to a manufacturing fault or transit damage, then please inform us that there is a problem as soon as you have unpacked the items either by email, or by telephone on 01788 226 246. We will aim to resolve the issue, either by instructing one of our team to visit to repair,(If our team are onsite they may be able to repair without collection) rectify any fault or to arrange for a collection to return your goods to our workshop to carry out any repair work or remaking your item prior to re-despatching the goods to you. Contact us via Email, in writing or by telephone. If you feel the goods are faulty please contact us immediately and we will then contact you to arange a time to collect the item.The above conditions also apply. Refunds are not offered on made to order goods. Please note: Refunds are not offered on made to order goods.